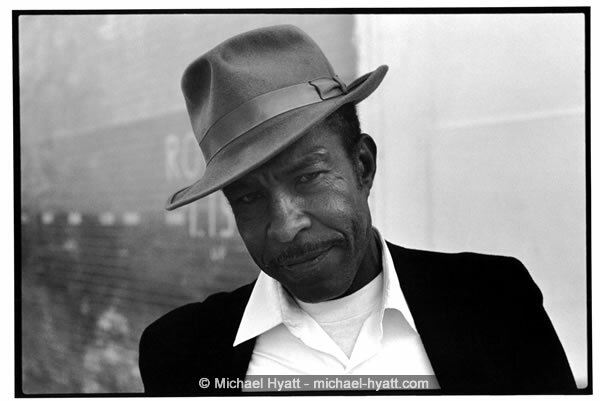 I began photographing on Skid Row in Los Angeles in 1972, and then again after returning from Boston. It was then that I had the opportunity to work on a documentary film that Charles Pavlich was making about two residents of the Chapman Hotel on the corner of 5th and Wall Street. One of them was Leonard Graham, who was a heavy smoker and drinker. He could also do great imitations of Hank Williams. I became Chuck’s assistant and even helped edit the film. At the same time I had lots of opportunities to meet and photograph many of the other hotel residents and their neighbors. One was Bastillo, who shared a room with his crippled wife and dog. Another was sad-eyed Mona, the hotel housekeeper. Whether on the street or on the roof, I could always find something interesting to photograph at 5th and Wall Street. These photographs are a small sample of the complete portfolio. Email Michael for more info.